We are one of the Premier martial arts schools in the West Valley. 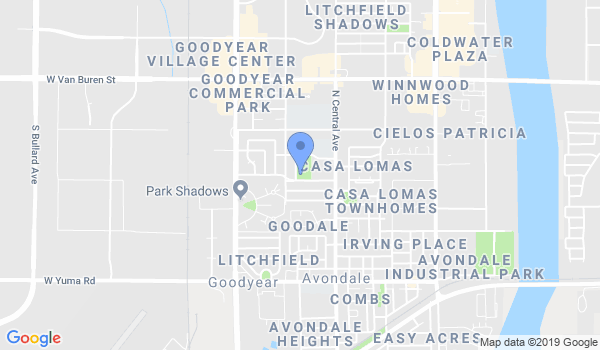 Starting in Buckeye Arizona, we have moved to Goodyear in 2018 and intend on continuing our schools success under instructor Lex Zlokich and family. We specialize in teaching karate and kung fu to ages four years old to adults. Our classes are high energy, fun, and never a dull moment. Students receive world recognized certification and top level training material in a fun, and effective manner. Call 623-800-5599 today and start your free week trial. How are program focuses on teaching students many quarter values such as respect, honor, integrity, manners and self-defense. We use Tang Soo Do as the foundation while integrating many martial arts to give students a well rounded program and to expose them to different martial arts cultures. Instructor Lex Zlokich leads all programs with his experience in martial arts expanding over 20 years. Instructor Lex has also developed and instructed many self-defense programs throughout the Phoenix area including anti-bully and women’s self-defense programs. Chief Instructor Lex trains directly under Grandmaster Danny lane, President and founder of the World Martial Arts Federation. Grandmaster Danny Lane has an extensive background in many martial arts styles including training under Chuck Norris for more then 30 years. All certificates of rank will be certified by both By Chief Instructor Lex Zlokich and Grandmaster Danny Lane. View all Dojo in Goodyear or in Zip code 85338.